Cristiano Ronaldo was back in Madrid on Monday, but it was merely to open up his latest business with Georgina Rodriguez as the pair have opened a new hair transplant clinic. The Portuguese superstar has undoubtedly secured his legacy and made enough money through his football-related ventures to set his family up for life and future generations. 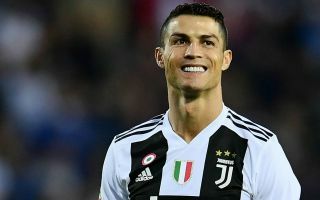 However, as the 34-year-old edges closer to the end of his playing career, perhaps he is considering ways to continue to build his empire off the pitch through successful businesses. As seen in his Instagram post below, it was a proud moment for him on Monday as he opened up the clinic, which will undoubtedly be a sensible investment for him moving forward. “Madrid is the city which made a mark on my life forever from a professional and emotional point of view,” he is quoted as saying by the Metro. “I developed an important part of my career there and it’s also where I built my family. I like to support entrepreneurial projects with solid features to spread the best of what we have in Portugal throughout the world. It has previously been suggested that Rodriguez will have a major role to play at the clinic too, and so the power couple have seemingly made another big move with Ronaldo continuing to excel after moving to Juventus last summer.